If you're looking for heavy-duty, yet cost effective U-joint strap, look no further. Moroso's straps genuine Dana OEM quality and are made from premium steel and feature heavy-duty washers and nuts. 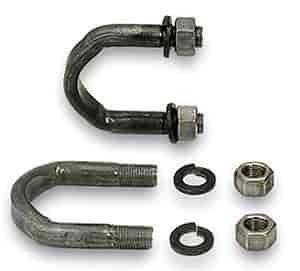 Fits Dana 60 and Ford 9'' with 1350-series yoke. 85080 is rated 3.0 out of 5 by 1.